The RSPCA is appealing for information after 35 mice - including ten babies and some pregnant mums - were dumped in a box at the side of a road. The mice are now in the care of the RSPCA and have been taken to branches at Chesterfield, Halifax and Birmingham where they will be put up for adoption. 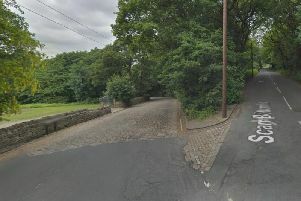 The animals were found by a man who was walking his dog along Hardwick Lane in Sutton. The man noticed a box on a grass verge and when he peered inside he discovered a small plastic container packed with dozens of mice. He took the mice home and put them in a larger vivarium, which he has from previously keeping a lizard, and gave them food and water. He then reported the matter to the RSPCA. Inspector Kristy Ludlam was sent to collect the furry family and said she believes there were three generations of mice cramped inside the small plastic container, including ten babies and some were only a day old. She said: “I have never picked up so many mice in once call-out - this really was an usual case. “In total there were 35 and the box they were in was tiny for that amount. “They must have been trampling over each other and I am surprised the babies managed to survive. There were also some pregnant mice in there too. “It was just so lucky that this dog walker found them when he did or they would have died especially with it being colder now. Inspector Ludlam is now appealing for anyone with information about who dumped the mice to contact the RSPCA appeals line 0300 123 8018.